I just got this great little LED lantern from Soloneer. This is a great little lantern, it has a gas lantern look and design but it’s an LED light which is last a really long time. It has the traditional design though so it has a handle you can carry or hang it with. It has a knob in the front you can turn to adjust the strength of the light from dim to really bright. I love this feature cause sometimes you want a light but you want it be low like when you are camping and you want some soft light in the tent to be able to see but you don’t want a super bright light that will hurt your eyes. It has eight different brightness settings to meet all your needs. It takes 3 AA batteries (not included). 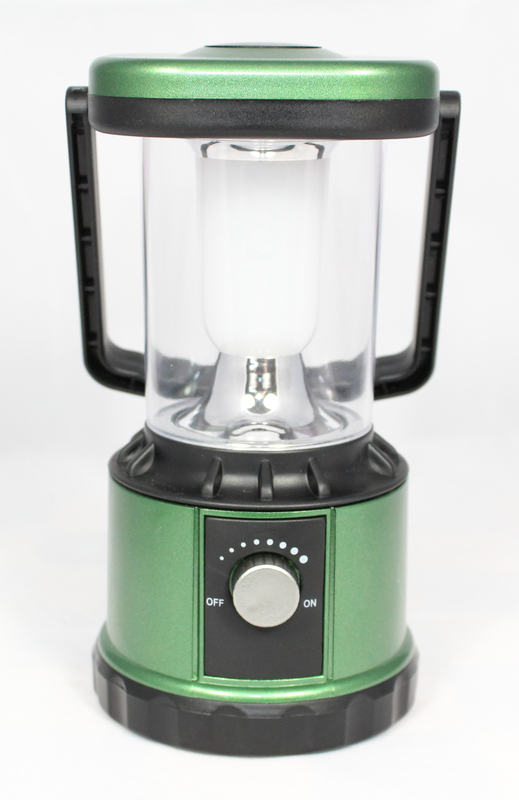 We use ours all the time when we go camping, I love it because you can have that lantern feel and be able to carry it or hang it without the danger associated with a gas lantern. I can let the kids use this and I don’t have to worry about them getting burned or hurt. Great durable light! It’s so easy to use the LED lantern can be used by children (great for bedtime reading or studying). The portability and small weight of the LED lantern means it’s ideal for putting in your backpack, in fact it’s so small and light you could carry 5! Using readily available standard AA batteries means you won’t have to worry about trying to power it by waiting for recharging or looking for rare battery types. The touch plastic makes this very durable and is ideal for most environments and conditions. Find them on their Website & on Amazon!